For the past several months, National Technical Systems has reviewed my staffing needs for real-time embedded software developers and technical proposal writers, and screened potential applicants to ensure they meet the job requirements. NTS has provided 20 resumes of qualified candidates and have reduced the time and effort that would have otherwise been required to identify these qualified candidates from the large number of resumes available from multiple sources. Of these 20 resumes, six candidates were selected for interviewing and two were hired- a much higher percentage than our recent experience with other search agencies. One of these candidates was responsible for the content of three sections of a technical proposal requiring research into existing cutting-edge technology, and all of the sections he was involved with received a technically acceptable rating from our customer, with no deficiencies. 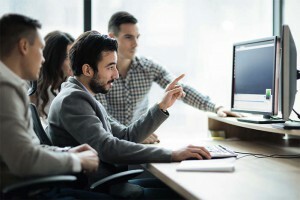 The other candidate took over the software integration responsibilities from a member of the software staff, allowing that software engineer to concentrate his activities on another technical proposal, allowing both the on-time submittal of the technical proposal and the on-time completion of the software integration task. 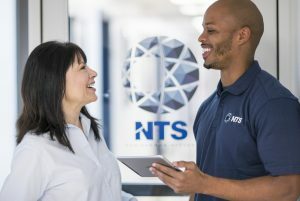 NTS has demonstrated that they understand our staffing needs, and not wasted our time with candidates that are clearly unsuitable for our applications. They have struck the right balance between selecting appropriate candidates and rejecting inappropriate candidates. They have conducted themselves in a professional manner throughout with timely periodic, yet unobtrusive checking on my staffing needs. I highly recommend them.